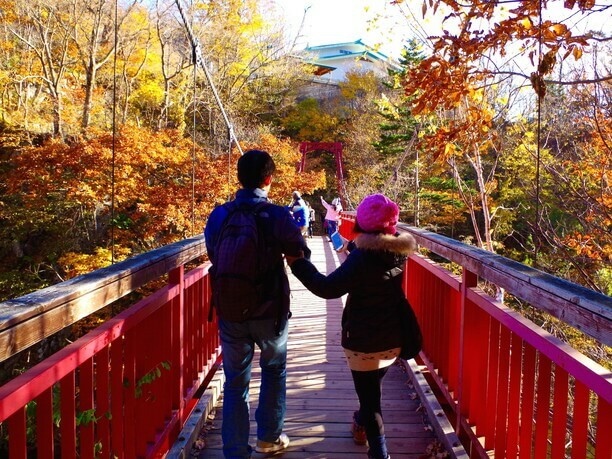 Surrounded by nature in Hokkaido, there are special scenic spots where couples come whatever the season to indulge and spend happy hours together! At these recommended date spots no words are necessary. The atmosphere will help deepen a couple’s love. A couple can make really “tasty” memories here! 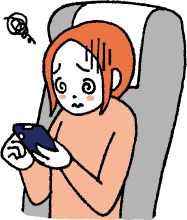 Shiroi Koibito Park (白い恋人パーク) in Hokkaido is a popular dating site. 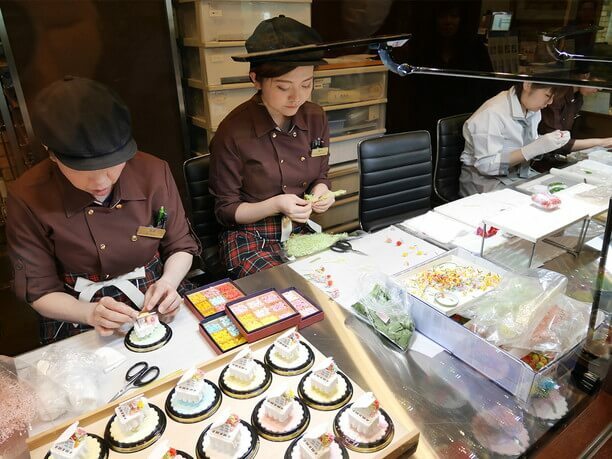 Here you can watch as they make delicious sweets right in front of you. They even have a candy making experience workshop in the Park. You can make and take home their original Shiroi Koibito treat along with pictures and create the perfect souvenir gift for family and friends. It only takes about 10 minutes to tour the factory but the memories can remain for a life time. With its good views and great hot springs, this Hokkaido dating spot is one of the best! Jozankei hot springs (定山渓温泉) landscape strongly reflects the seasons of Hokkaido. The water quality is of course one reason for its popularity but combined with its ease of access this date spot ranks high on the list. You will be impressed with the beauty of the landscape at this popular autumn attraction site. If in Hokkaido this is a must see dating spot! 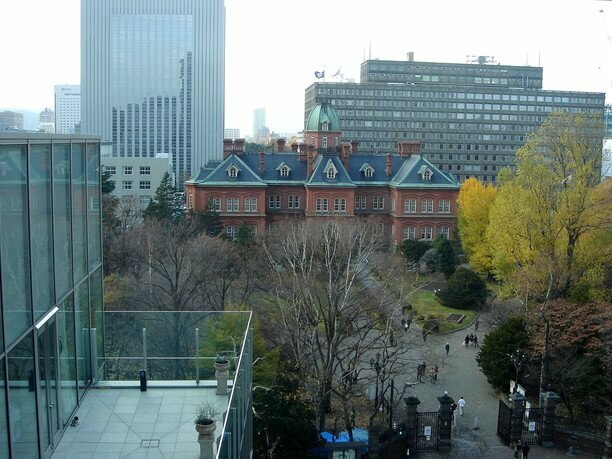 Hitsujigaoka Observation (羊ヶ丘展望台) hill has a country like atmosphere yet it is located in metropolitan Sapporo. From the observation hill you can easily see the Sapporo Dome in the city and a little further out you can see the Ishikari plain. There is an excellent photo opportunity in front of the Clark statue. Many couples stop there to take a photo as they strike the same pose as Clark. After the observation hill you can go for an experience of the chefs food for the soul “Genghis Khan”, then hit the hot springs to complete your healing journey. 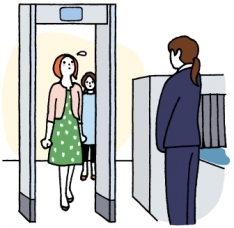 【Hours of operation】May-June 8:30a.m. to 6:00p.m. This romantic date spot is sure to create wonderful memories! 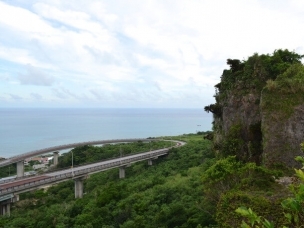 Moiwatama Observatory (藻岩山展望台) is a place where you can enjoy the beautiful scenery and night views. It is by all means a top recommended tourist and date spot. 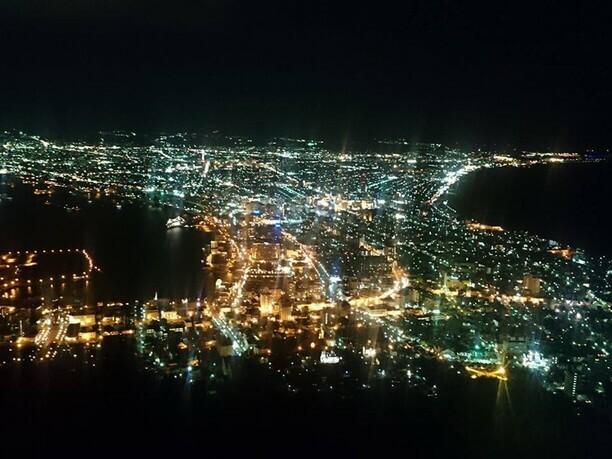 This night view of Hakodate overlooking Sapporo is considered one of Japan’s top three city night views. At the summit of the Observatory is the popular “Bells of happiness. Here you can pledge your love then lock a padlock on the fence and come back at a later time and open the lock and renew your pledge. This has been called the best date spot in Hokkaido, Japan. Sunrise time 7:06a.m. 5:00a.m. to 5::00p.m. * Changes year to year. * Change year to year. This is a very romantic dating site! Otaru canal (小樽運河) surrounded by many lovely buildings is famous for romantic events. 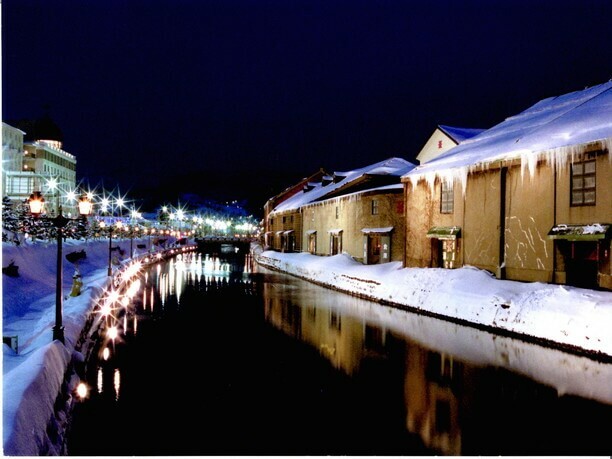 Guests can enjoy a romantic night scene along this popular canal in Otaru. It is a symbol of a perfect date spot that will make any couple happy. You can enjoy just walking or window shopping at some of the shops that use historic buildings along the Canal. If you are visiting Otaru for the first time, a rickshaw ride along the canal is also recommended. It is worth the price! This place of miracles and once-in-a-lifetime encounters is a great date spot for couples to visit. Always awaiting with a new inspirational and healing experience “Hoshino resort Tomamu” is a year-round resort area. When conditions are right, Tomamu’s topography and climate create a natural phenomena in the clouds. Every day there is only about 30-40% probability that this beautiful sea of clouds will materialize. It might just be a once in a lifetime experience that happens when you visit. It is a wonderful adventure to have on a date thinking that you might get to experience this great miracle. The natural beauty at this resort of Hokkaido will bring happiness to your dating experience. 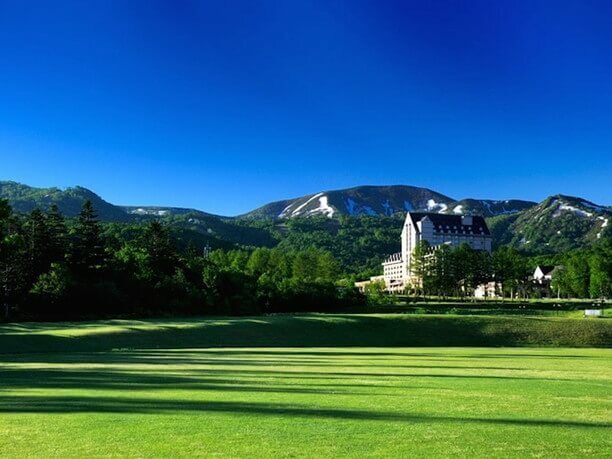 At Rusutsu resort, regardless of season, you can enjoy Hokkaido’s largest resort. 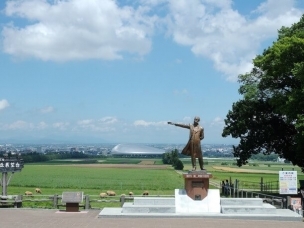 It is open from spring to autumn and features “yotei panoramic view from the terrace.” It is a 360-degree panoramic view of Hokkaido. 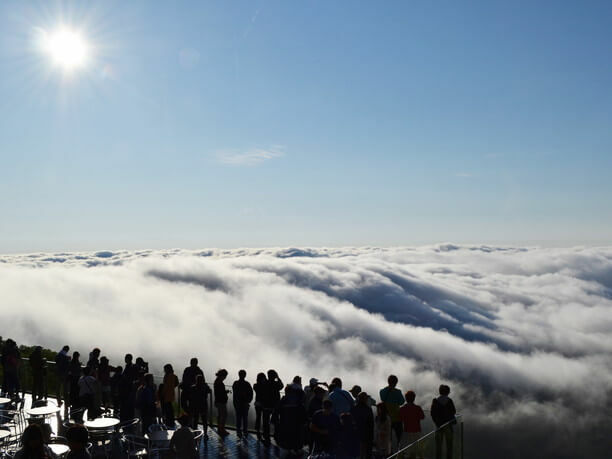 It has a top grade natural phenomena that occurs as a sea of clouds. Sunset is also very popular. This is well known as an excellent date spot. Where you can play on nature’s stage, being impressed and being healed. 【Hours of operation】Winter ski sales 9:00a.m. to -9:00p.m. Kiroro Resort is surrounded by mountains and forests. In the summer you are surrounded by dark-green colors that make this resort a great place to enjoy the great outdoors. In addition to a spectacular panoramic tour you can enjoy outdoor activities in the forests and mountains. In the winter you can enjoy skiing, snowshoeing, a panoramic tour in their special car, or explore the area on a snow Segway (first introduced in Japan). 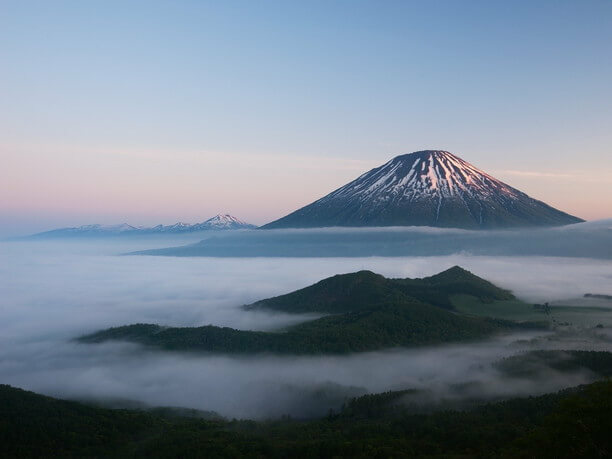 Experience the charm of Hokkaido as the time passes slowly while you enjoy being out in nature not far from the hustle and bustle of the city. A dramatic view of the city’s sparkling charms! The view Looking down from Mt. Hakodate to the city below (with sea views on both sides) has the appearance of a curved waistline. It is a beautiful view regardless of whether its day or night. This famous night view has been referred to a million dollar view. It has been selected as one of the three best night views in Japan. With its glowing jewel-like sparkle it attracts many people and invites them into a dream world. Maintenance workers from the city Hakodate, keep the roadside trees healthy and historic buildings lit up at night. 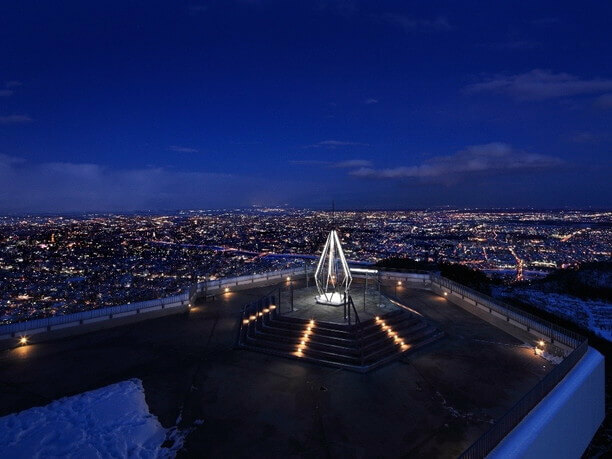 This Hokkaido spot with its dramatic view is an excellent place for couples to visit on a date. A perfect date spot with views of Otaru below! From atop of Mt. Tengue you can see the Ishikari Bay port town of Otaru spread out below. This place is popular with all its various charms to Otaru citizens and tourists alike. At this location you can enjoy a peaceful stroll all year round. In the spring time it is an excellent place to see the cherry blossoms. The summer, and winter seasons are also very popular times to visit. This is definitely a place you will want to come on a date. 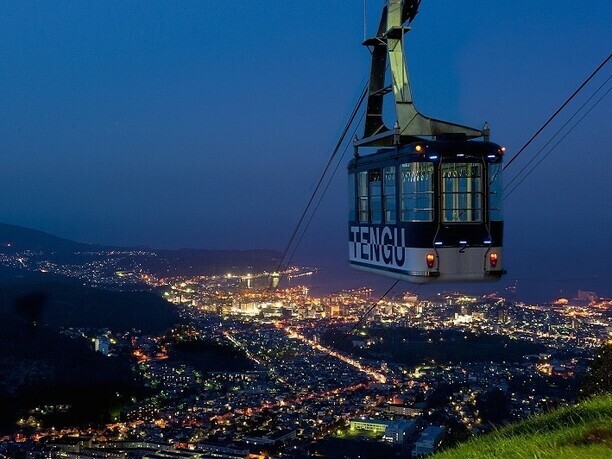 At Tengu mountain you can enjoy a wide variety of activities and appreciate the beautiful views of the port town of Otaru. Have an excellent date while enjoying the nature of Hokkaido! 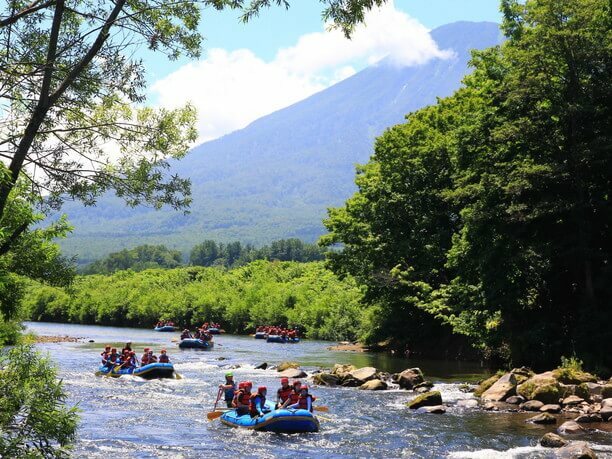 “Niseko” is one of the world’s leading resorts. Hirafu village is a bustling village popular for wilderness rafting in the summer and fine powder snow skiing in the winter. It attracts many people from all over the world and is an idea destination for a Couple on a date. Enjoy this fashionable new Sapporo attraction! This date spot offers good views, gourmet food, and a peacedul and stylish atmosphere. You can feel the breeze outside the red brick courthouse as you view the North 3-Jo Plazza. If you get hungry, you can enjoy a delicious gourmet meal at one of the locals favorite spots.